Clark’s Bakery’s passion and respect for traditional baking and our positive forward-thinking means you only have to know what you want, not where you will get it. We pride ourselves on using the finest suppliers. The Butcher The Baker is a business that accepts no compromise with any component of their operation, from the team that was chosen to lead it, to the suppliers and product range and it reflects the level of investment and commitment that designed and built this new, innovative and exciting retailing concept. They pride themselves in providing quality products. 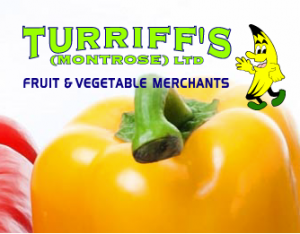 As far as possible, Turriff’s Montrose Ltd use local suppliers for seasonal produce, dealing directly with many Farmers to ensure the best quality produce for their Customers. Mungoswells, situated in East Lothian, malt some of their barley & wheat and mill their own wheat to make flour. Their products are made from crops grown, harvested, milled and packaged all within 5 miles, resulting in quality local produce with unrivalled traceability. John D Forrest is an old-established Dundee-based firm that Clark’s bakery have been dealing with for over 30 years. They provide Clark’s Bakery with the finest eggs, cheese and chicken. Lomond Foods Limited are a food service wholesaler delivering ambient, chilled and frozen goods all over Scotland, providing a wide range of high quality products for all types of caterers. Taking great pride in being a Scottish based company, they source much of their range from local producers and businesses, giving them the freshest produce possible. Olleco provide quality cooking and vegetable oils. They are a local partner with national reach. A local family firm providing all the juice sold instore at Clark’s 24 hour bakery. Bako Northern and Scotland are based in County Durham and are one of the largest nationwide distributors to the food industry. Fleming Howden an established supplier to the Scottish Bakery Trade, supported by an in-house Technical team, offering a full range of flour, mixes and bakers sundries. Clark’s Bakery have been dealing with them for over 30 years! Carr’s Flour Mills is a thriving 21st century business – but with unashamedly old fashioned values when it comes to looking after the people who matter most. They source only the best wheat from home and abroad. Their ﬂours are created with attention to detail. Copyright © 2019 Clark and Webster. All rights reserved.